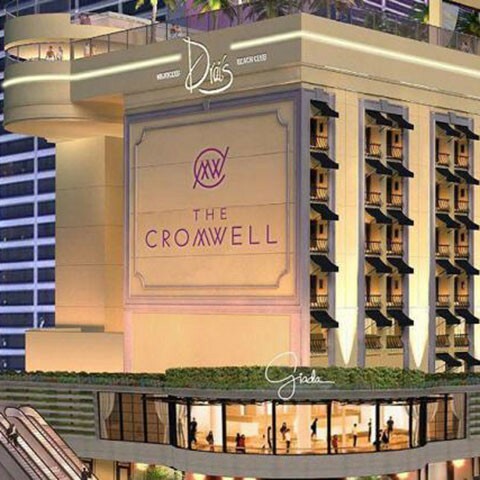 The Cromwell is the only stand-alone luxury lifestyle boutique hotel and casino of its kind on the Las Vegas Strip. The newest Caesars Entertainment resort features 188 rooms and suites. Each of the 188 rooms features luxurious accommodations in an intimate, Parisian-inspired atmosphere. Whether it’s the hardwood floors, plush furnishings or dim and romantic lighting, each room gives guests a glamorous, VIP experience. The hotel’s blend of modern and vintage design is another unique element. Exclusive amenities include coffee and tea service on the first floor, rain showers and Muk bath products. The first ever restaurant from celebrity chef Gianda De Laurentiis, the return of Drai’s After Hours and the introuduction of Drai’s Beach Club and Nightclub. Blending vintage with modern and drawing inspiration from Coste Hotel in Paris, The Cromwell features limestone windows surrounding awning covered balconies. The 169 hotel rooms and 19 suites will be reminiscent of Parisian loft-style apartments with distressed hardwood flooring and vintage luggage motif furnishings. Lighting recalls French provincial styling with black and white mosaic tiled shower walls acting as the canvas for miscellaneous English-French phrases. The Cromwell’s glamorous 40,000-square-foot casino offers the latest slot machine games, as well as popular classics.The 440 machine selection spans new themes in addition to popular favorites. The layout places slots in their specific categories and denominations, as guest convenience is a winning experience at this Las Vegas casino. Take a spin – this just might be your lucky night. Casino offers 66 popular Las Vegas table games. Those seeking a more private gaming experience can play in the high-limit area or the casino’s reserved gaming space, The Abbey.